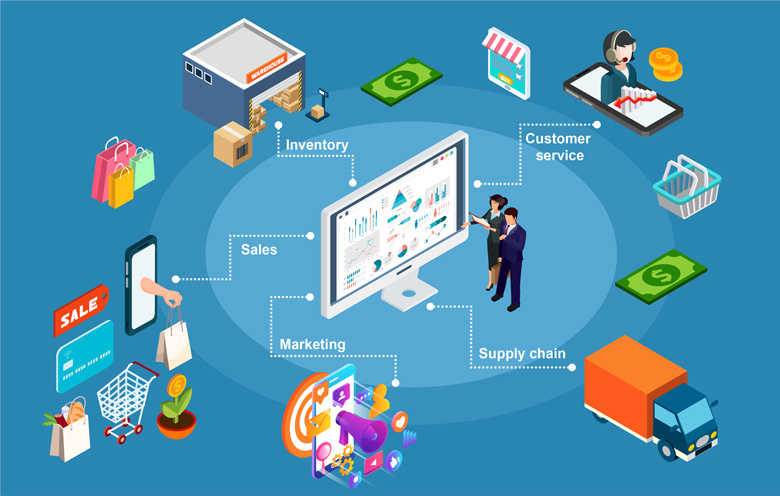 Share the post "How smart BI tools can improve various business functions in retail"
The retail industry has always been competitive and with the swelling influence of online retailers, competition has got harder. This requires retailers to be on their toes, ready to handle the dynamism of this market. Retail companies must constantly upgrade their offerings and should be capable of remodeling themselves as trends, demands and consumers habits change. Business intelligence tools have been in use for a long time to help companies analyze the past performance of their retail operations. Today many of these BI tools are powered by technologies like ML and AI, thereby adding predictive features to their existing capabilities. This provides retailers with key insights to predict future trends, make informed decisions and resolve challenges before they occur. Some BI tools like Microsoft Power BI and ThoughtSpot also provide a search feature, which allows retailers to type or speak their queries in natural language and get visual results within a few seconds. All these new capabilities are revolutionizing business intelligence in retail. Excess inventory, slow-moving stock and stock-outs are some of the major challenges that retailers face. This leads to higher carrying costs, missed sales opportunities and customer dissatisfaction. BI tools help to address these challenges by providing deep insights into product performance, customer behavior, historical sales transactions, and current market trends. This information enables retailers to successfully manage their inventory. Moreover, these retail analytics services and solutions also provide access to real-time inventory data. This helps departments like sales and marketing which heavily rely on product availability to have clear visibility over their inventory. In the hyper-competitive world of retail business, it is important for sales teams to supercharge their strategies and improve the overall performance. Business intelligence tools allow sales professionals to interact with sales data and discover new areas of opportunity. These tools analyze data to identify which sales techniques are fine, the ones that need fine-tuning and the ones that need to be discarded immediately. Moreover, retail analytics solutions that have sales dashboards allow professionals to view sales per product, customer, store, region or season. This helps the sales team in making data-driven decisions to improve the overall sales. For an effective retail marketing strategy, it is important to be fully aware of customer buying-behavior, shopping trends, competitor pricing, social media trends, and various other details. Retail analytics tools enable marketing departments to capture this data from several sources in order to have a better understanding. Apart from multi-stream data collection, these tools are also capable of analyzing and visualizing data in diverse ways to produce more actionable results. This information helps marketers to generate accurate recommendations, optimize pricing and customer engagement, predict trends, and improve ROI and customer retention. Cutting transportation costs, improving the delivery process, reducing labor costs, and managing vendors are some of the major challenges in retail supply chain. Business intelligence helps companies to address these challenges in an effective manner. BI tools can provide granular insights regarding transportation costs, equipment utilization, resource allocation, accessorial costs and more. They also help to identify delivery issues and evaluate vendor performance based on which managers can negotiate intelligently and create rate contracts. This in-depth analysis helps to improve the profitability of retailers across the entire supply chain. Customer service is a key differentiator between a successful and unsuccessful retail business. By having a better understanding of the consumer base, their needs, and current satisfaction levels; customer service standards can be improved. Retail businesses have access to data like customer history, first response time, average waiting time, average resolution time, customer satisfaction score, and social media interaction. BI tools help to drill down this data to gain key insights regarding customer interaction and identify customer service areas that need improvement. Based on the information retailers can plan and implement a better customer service strategy to improve customer satisfaction. 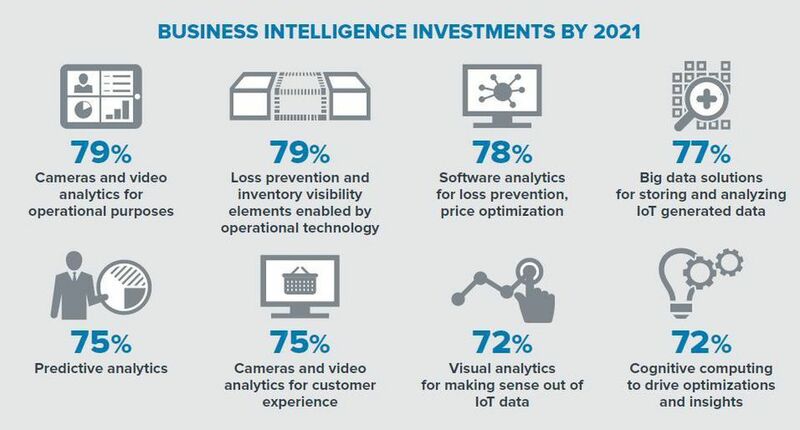 The combination of business intelligence tools and analytics will continue to transform retail. Walmart and Amazon are among the finest examples of how significant investment in business intelligence and analytics capabilities can do wonders both for online and brick-and-mortar retailers. In the coming years, we will see an increase in the percentage of retail companies using BI to derive more value. The below image shows the top BI initiatives retailers are prioritizing. If you are interested to leverage the immense potential of BI tools, then talk to our experts. We help retail organizations to improve their levels of BI and analytics maturity and create competitive differentiation.